I have commented on this blog on several occasions about the fact that we are living in an increasingly complex world. Fields of knowledge, from medicine to social sciences, to many others, are ever-expanding. According to a 2013 IBM article by Ralph Jacobson, 2.5 quintillion bytes of data are created every day. This data comes from sensors, posts to social media sites, digital pictures and videos, purchase transaction records, and cell phone GPS signals to name a few. Connections and linkages between data points, the true source of complexity, are also expanding. Google can link people to places through their phones, and how long they stayed at each place. Amazon, Facebook, and Google understand people and their interests based on data they collect through interactions. The proliferation of data and how they relate to one another makes it more and more difficult for us to find and understand what we need to know, and how to make sound decisions. We need tools to help us take advantage of this data and inform and educate us. This is where AR (augmented reality) comes in. 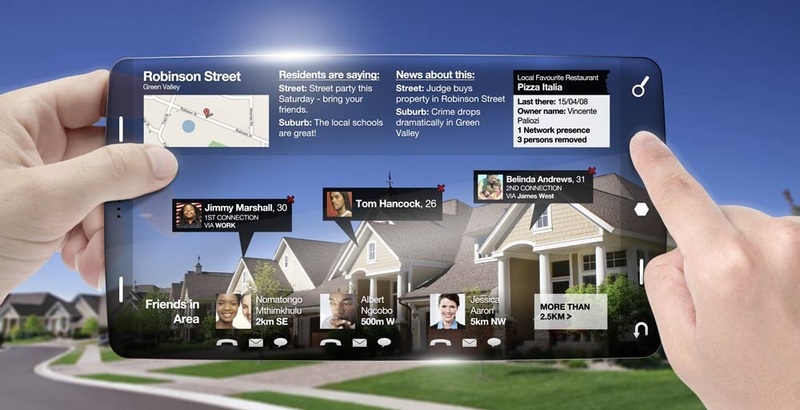 AR is a relatively new concept seeking to overlay digital components on top of q real scene. This can be done through viewing glasses or a screen where objects or information is presented on top of a live or still view. Large companies like Facebook, Google, Apple and Microsoft are each embracing this general idea with different objectives and perspectives. I came across postings by Luke Wroblewski (LinkedIn), a product director at Google. Luke has begun to describe a conceptual approach to AR where the digital overlays are designed to serve specific functions by leveraging contextual data (in this instance, data known to Google.) 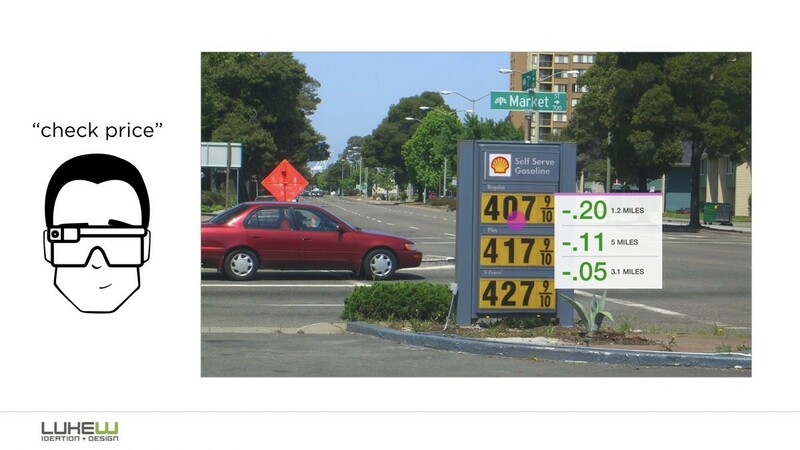 In this example, the AR algorithm would have (this is a mock-up) recognized that the driver needs to find a gas station. The AR platform would then overlay the respective price differential and the distance of alternative stations to the one in sight. To me, this is a great example of how AR can help manage complexity. The AR platform would distill the inherent relationship between cost and distance. This relationship between cost and distance is at the heart of the “complex” decision that the driver must take: What are the risks of driving further to save money? Do I have time? Do I have enough gas in the tank? Do I really know how little gas is in the tank? AR may be more than a hammer in search of a nail. It may be a new conceptual approach to help us deal with big data and its complexity. This entry was posted in Decision Making, Products, Society and tagged AR, augmented reality, big data, complexity, Google, visualization. Bookmark the permalink.